Just one of those must-have books you have to keep on your shelf! 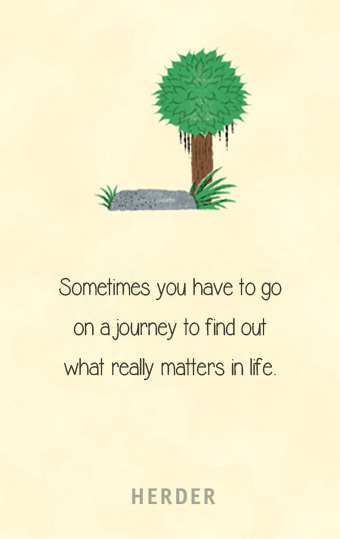 What does a little Buddha discover when he leaves the santuary of his Bodhi tree to explore the world? This is the start of an adventure as the reader discovers the world through the naïve and innocent eyes of a peaceful soul as he meets different people and learns about the world around him. The allegorical nature of the stories reminded me of The Little Prince, and the author uses the Little Buddha’s experiences to look into human nature in a warm and accessible way. The book itself has a delightful rhythm to it which takes the reader away into the Little Buddha’s world. A book that is both encouraging and thought-provoking. A true gem! By reading this book you embark on a wonderful journey during which you look at everything and everyone through the attentive eyes of the openminded, curious and unprejudiced little Buddha. A delightful lesson in the art of listening and learning, The Little Buddha is a reminder that sometimes we just need to listen to ourselves. And that nothing beats a simple story well-told.